What are different types of chapters for VA education benefits? Can I apply for credit for my military service? Yes. Veterans who have been honorably discharged, and those on active duty, can apply to earn college credit for serving in the U.S. Armed Forces. What is the process to apply this credit to my transcript? Students seeking credit for military service must first attend Gavilan College. Once the student has earned 12 units of college credit at Gavilan, they are eligible to apply for military service credit. 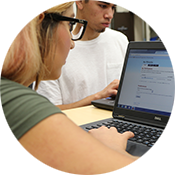 A counselor will help the student complete the appropriate form and submit it to the admissions and records office. Credit will be manually applied to the student's transcript at the end of the term. What paperwork is needed to make this request? Students should submit a copy of his/her discharge paper (form DD 214), indicating an honorable discharge, to a college counselor. The counselor will then assist the student in completing an "Application for College Credit - Based on U.S. Military Service" form that will be used to document the request. What sort of credit will be awarded? For the completion of basic training, 6 units will be awarded; 3 units for Physical Education and 3 units for Military Science. Credit can also be awarded for the technical training received in non-combat areas. The veteran must have a counselor evaluate his/her in-service schools to receive the corresponding credit. Will this credit be applied to degree requirements at Gavilan and to a four-year school when I transfer? 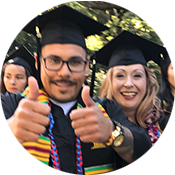 All credits earned will be accepted as electives and count towards the 60 semester unit graduation requirement for an AA or AS degree at Gavilan College. One unit of the General Education / Physical Education requirement for Gavilan College AA and AS degrees will also be fulfilled. However, students who plan to transfer to a four year institution should meet with a Gavilan College Counselor as acceptance by the CSU and UC colleges varies greatly. As a general rule, the CSU colleges will accept 6 semester units for basic training, but will only apply it as elective credit. UC colleges do not accept military service credit. Who should I see for more information?